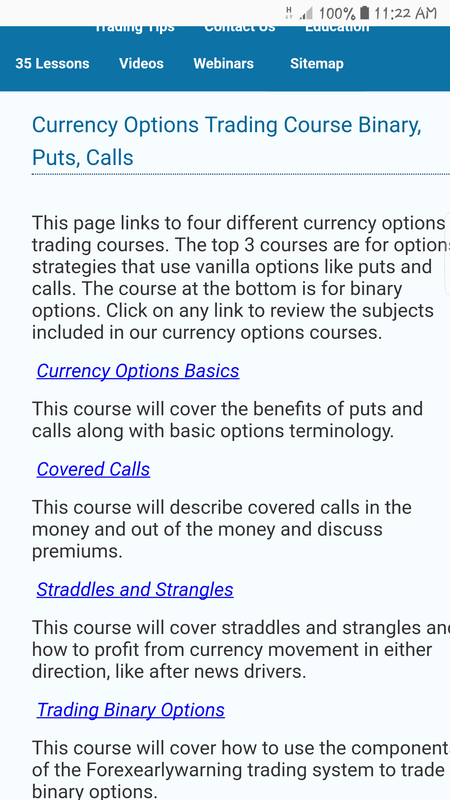 Lesson 35 is on Options, is that it? Okay, it has been a long day of reading and watching of youtube videos, thanks again guys for all the links provided. It seems to get their real time Heatmap comes with some sort of subscription. Anyway, a lot has been learnt today from those articles. Or will the signal really be available to non-subscribers during market open hours? @The_Snowman Please I need your reply here. Thanks. Anyone out there understand the difference? I totally understand now. “The 35 lessons page” and not necessarily the 35th lesson. there are several very good heat maps available for free. Most are geared to very short term less than 1 hour trading eeven scalping 1M and 5M works well with them. 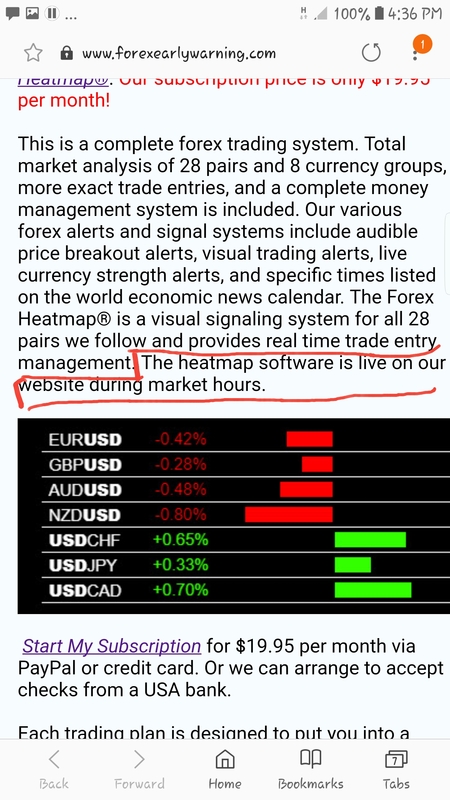 What time frame are you wanting to use a heat map for?? If a currency starts gaining strength, won’t it be evident first in the lower time frames and move up to the higher ones? Then the higher it goes the longer it lasts? I also think this is why before it gets to Dennis’s H4 chart it is already long gone and about to end. 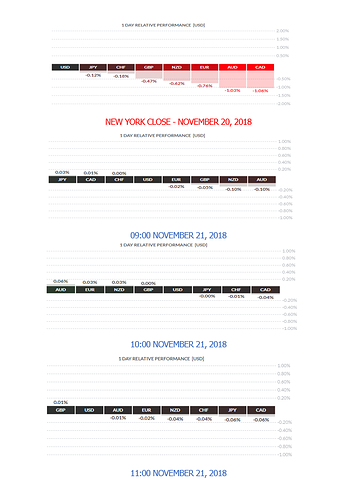 When you look at the daily strength from the heat maps and take appropriate positions, do you close at NY close? Or do you hold until you see a decline in strength? 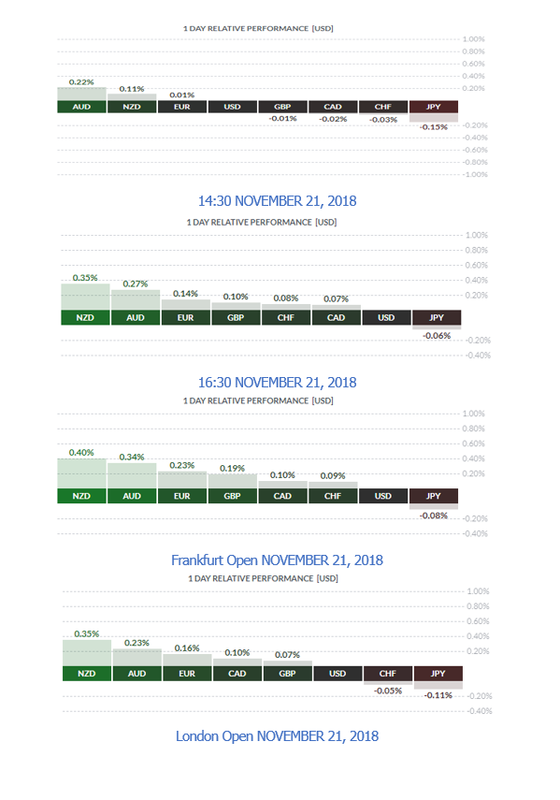 I have seen currencies go from strong to weak in one day. And how do you know if a currency would continue in strength or weakness until the next day or next week? This meter is very good for upto 1 Hr, however it does not auto update so when you look at it, refresh first. That said i trade mostly USD crosses and I use the DXY index as my indicator. 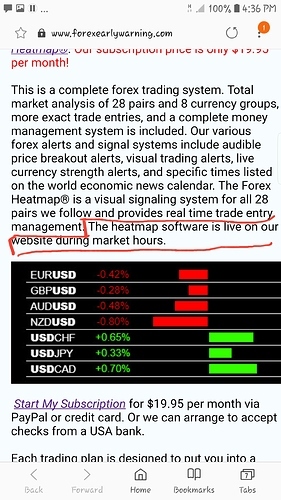 Absolutely correct, Dennis is for very long term charts, there was CHFJPY chart posted from memory, it had already moved 800 pips from the high before it got signal by his magic formulas, really? 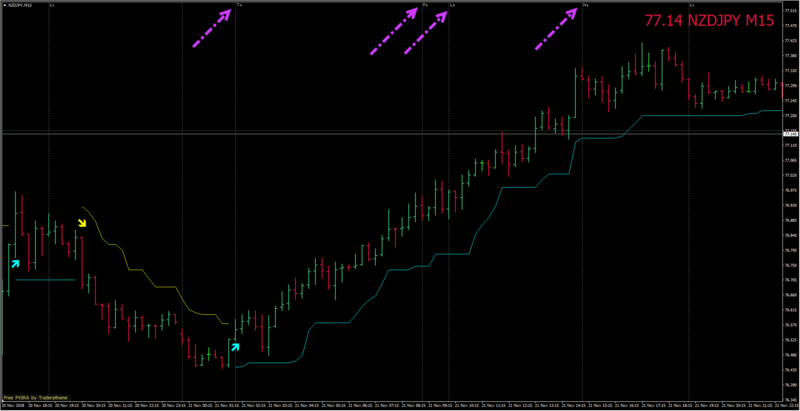 It’s such a slow moving method and yet no one can be bothered to record those trades on a demo, go figure! So, I recorded some shots of the FINVIZ meter during the day, pasted them into Word. 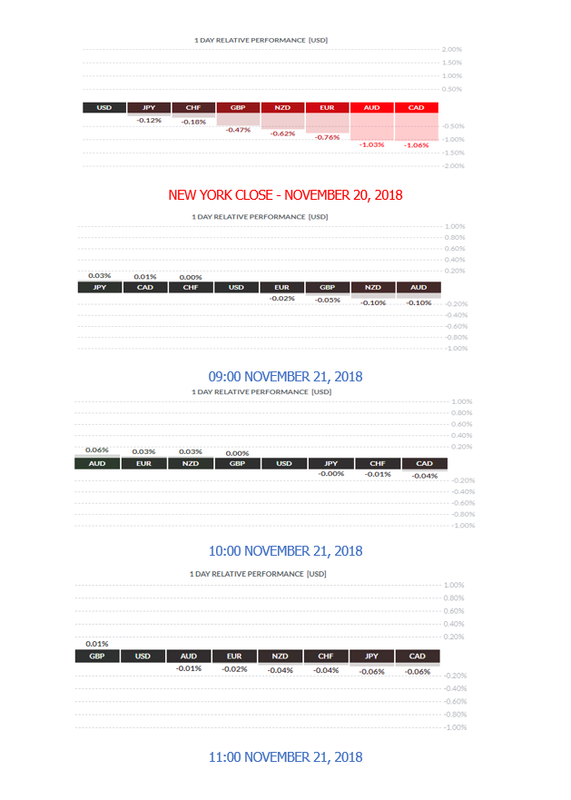 I think that it is worth doing for each 4 hour candle close. 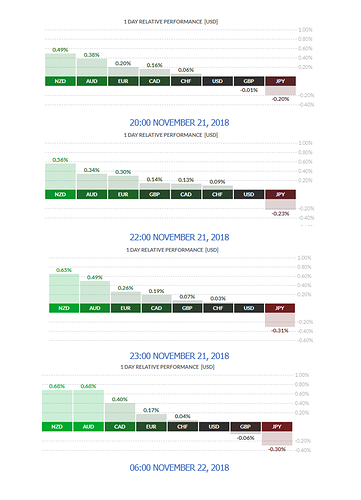 You can see the progress of NZD to strong and JPY to weak, both of these held for the day, not always the case, you need to observe closely, perhaps news or whatever happens. Very true, it’s a shame it resets and isn’t a live constant indicator. I believe the data from this web based meter can be taken into Excel and used to generate a real time live graph. I use an app (PC) that is programmed to take a screenshot every hour or whatever time frame I choose to monitor. 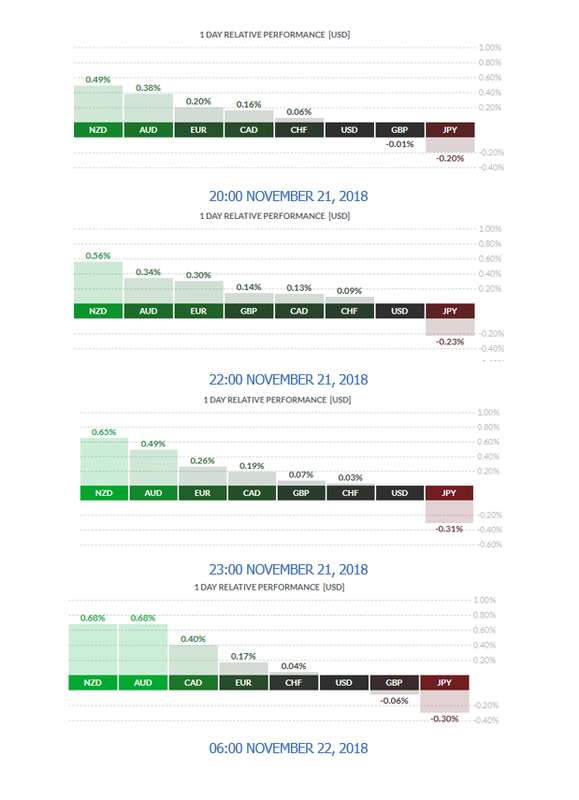 You can then build a visual and see the currencies moving from weak to strong and back again across the day, week whatever… it just makes it easier if you are away from the computer or more importantly asleep. 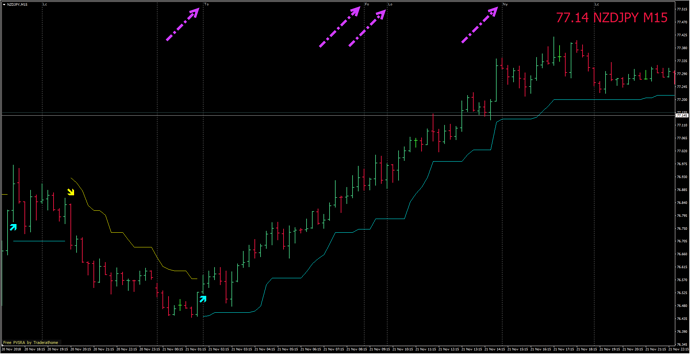 This Web based CSM displays TF’s from 5 mins to 1 Month… useful for trading shorter TF’s. 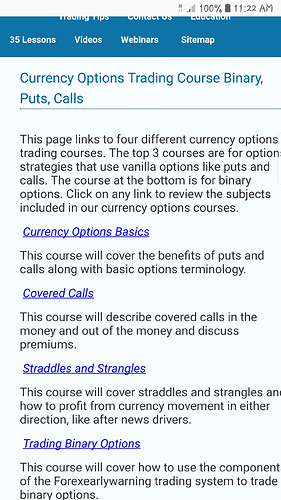 Thanks to www.tradingstrategyguides.com for providing this resource FREE on their site. 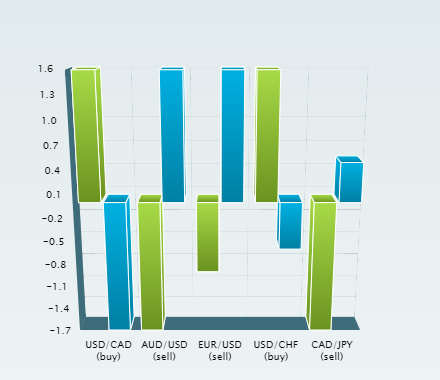 Typical Monday in forex trading; the JPY was weak on several pairs starting in the Asian session. 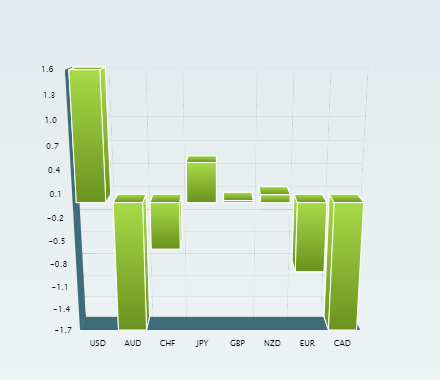 The NZD/JPY and AUD/JPY moved up in the Asian session, then stalled in the main session. 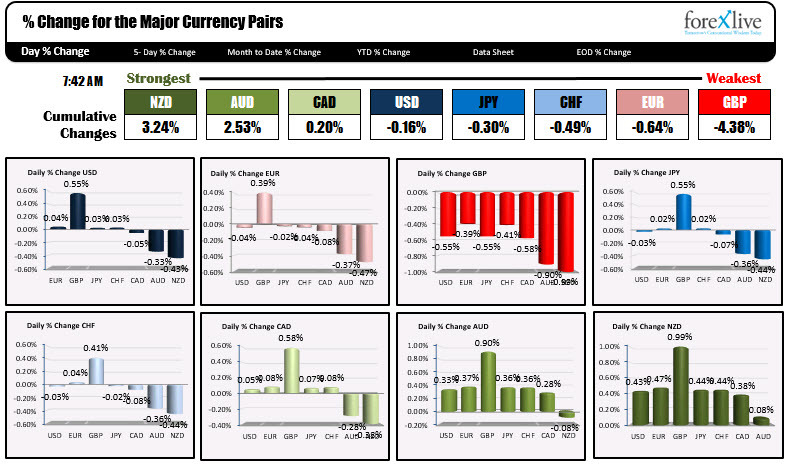 The USD/JPY moved up in the main session. All of today’s movements did not have trend support on the higher time frames or these pairs were range bound. Another quality CSM Chart, kudos @The_Snowman. To give this perception some comparability, I’ve been looking again at how prices have moved compared to their intermediate term trend, currently using the slope of the 50EMA on 26 majors’ price charts to define this. 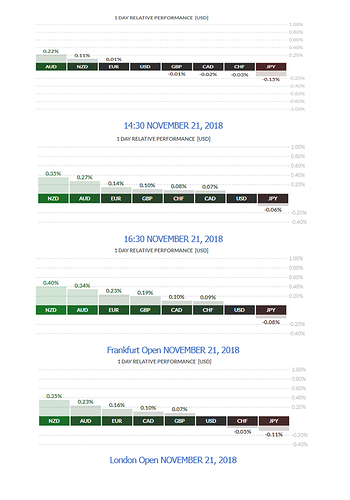 Of the last 5 completed weeks, the following week’s close has been a continuation of the underlying intermediate term trend 11/26 times twice, 12/26 times twice and 13/26 times once: overall average 45%. Meaning that recently, as soon as a trend is established, price is being pushed against it. Sellers are coming out as soon as buyers drive price up for a week, and vice versa. I have looked at metrics like this before but not yet concluded how to use it in trading decisions… open to suggestions. 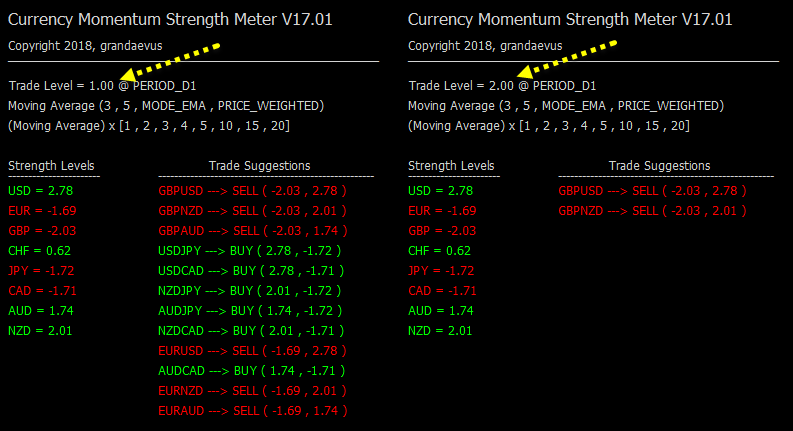 I came across this during my search for a currency strength indicator. The post is four pages and the coders have done a few iterations as the feedback came in during the thread. Just followed the link… I have to head to work but bookmarked! Looks like a lot of reading! !